Sandford St Martin maintained their push for the Banbury Indoor Cricket League title and at the same time put a dent in Hook Norton’s chances of retaining their crown. 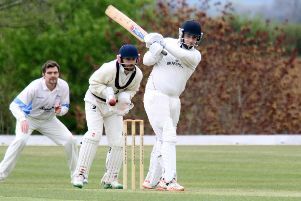 Sandford beat reigning division one champions Hooky by just four runs in Tuesday’s fixture and, with just two more rounds of matches to go, they are the side to catch. Batting first, Sandford posted 102-5 in ten overs with Chris Thompson 44no and Martin Anson 16 top scoring while Adam Bennett took 1-22. In reply, Jim Howe took 2-16 and Tom Goffe 1-44 to restrict Hooky to 98-5 in which Jordan Glazier 32no and Dickie Knight 15 led the way. 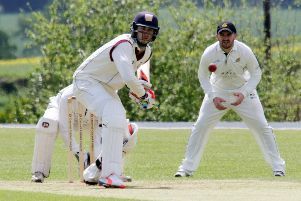 Banbury Veterans boosted their title chances with a 25 run victory over Cropredy. James Mitchelmoore 37no and Steve Beck 32no helped Veterans to 125-4 in their ten overs while Luke Cherry took 1-33. In reply, Beck took 1-15 and James Risbridger 3-40 to restrict Cropredy to 100-4 at the close with Cherry 29no and Tony Vickers 25 top scoring. Veterans now face reigning champions Hooky in a crunch clash next week. Chipping Norton beat Ruscote Lions by 22 runs. Liam Manley 38no led the way as Chippy posted 93-5 in ten overs while Naveed Syed took 2-15. In reply, Manley took 1-17 and Mark Stanway 2-12 as Lions were dismissed in the eighth over with Imran Hussain 12 and Syed 11 top scoring. Banbury comfortably beat Castlethorpe by five wickets. Richard Simpson took 2-15 and Andy Prior 2-24 as Castlethorpe were shot out for just 39 runs in the seventh over with Matt Folkes 10 and Stuart Walden 9 the only batsman to make runs. In reply, Banbury had little trouble finding the required runs in three overs with Ali Short 18 top scoring.